23 Mar Do Fitness Apps/Gadgets Work for You? A lot of fitness applications, may they be regular apps, fitness bands, etc follow one fundamentally flawed principal: calories in versus calories out. Hormones & medications can have strong influences on weight gain or weight loss. Hormone levels, quality of foods, food combinations, all those things play a major role in how our body gains, maintains or loses weight. The old adage of simply reducing calories does not work for everyone. Sir, permission to eat crappy, sir! 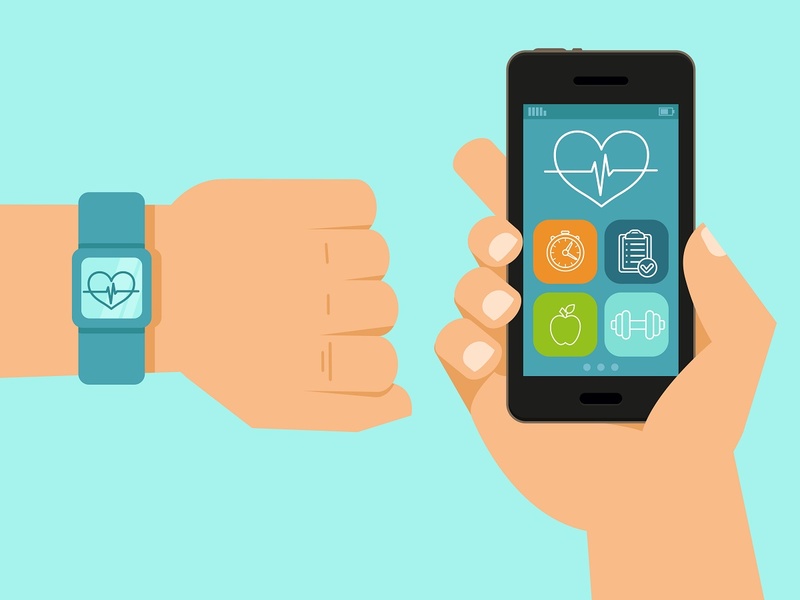 Fitness apps not only oversimplify weight loss but they often overestimate the energy being used to do a certain activity by neglecting to subtract the regular daily burn from your “exercise calories” . What does this mean? Well, apps often calculate your average burn and then “award you” additional calories for working out. What this does not take into account is that the average burn calculated included the time that you were exercising. Ergo, you would have to subtract this from the additional amount. You see where this is getting complicated. In addition calories from your food intake can vary by up to 25 depending on accuracy of measurement, food combinations, etc. There is an additional psychological effect. Just the thought of exercising, training, etc, gives our brain the permission to eat more, reward ourselves for efforts, even if they have not been done yet. How do you feel when someone or something tells you that you have to do something? We often rebel unconsciously against any form of musts and quit after a certain amount of time. Slower changes over the course of time leading to wholesome, nutrient rich, and sustainable food intake are more effective in the long run. The accuracy of the equipment is often questionable like some reviews have shown. Enough said. We use one fitness app in our studio. Myfitnesspal. But we use in a different way. We mostly disregard caloric intake. We focus instead on food quality, portions, etc. based on their goals and body type. The key is to keep things easy and doable. This will change the more sophisticated your goals become. Clients who have more experience in nutrition and are looking to work on high end performance, really low body fat goals (below 10% BF) etc will have to structure their food intake a little bit more accurately and calories, grams of carbohydrates, proteins and fats will come into play. Still at this point calorie in vs calorie out does not represent everyone the same way. It needs to be customized, adjusted over time and constantly monitored. Our clients are successful. You don’t have to become a food-nazi to be healthy, you don’t have to have a fitbit, etc. but you need to follow the 80/20 rule. 80 % of the time you need to follow your plan. If you deviate off of it 20% of the time, then you will have good results and be healthy. You won’t be a fitness model which does not necessarily represent healthy lifestyle and eating habits either since it is on the other extreme of the spectrum. To create permanent change you need to go from ‘have to’ to ‘want to’. This will not happen with an extreme competitor’s diet, calorie counting, etc. It will only work with guiding someone’s mindset to a healthy lifestyle that does not obsess over food and exercise. Sometimes using less gadgets, less rules lead to more compliance because we don’t use apps and gadgets to give us permission to eat badly. Many people have (ab-)used fitness to purge after a bad meal. Whereas doing this once or twice is not a problem it can become a habit and lead to disordered eating. Check out our 21-Day Fat Furnace to get help accomplish your goals!